Steal the limelight and be the center of attraction when you appear at any occasion in this blue straight cut suit. 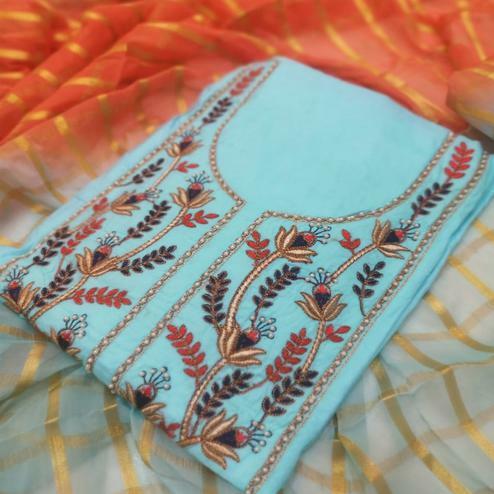 This designer style semi stitched suit has been enhanced with heavy resham embroidered work in traditional design done at neckline, sleeves and hem of kameez. Available with cream color santoon bottom and chiffon embroidered work dupatta. It's a perfect dress to wear for receptions and special occasions. 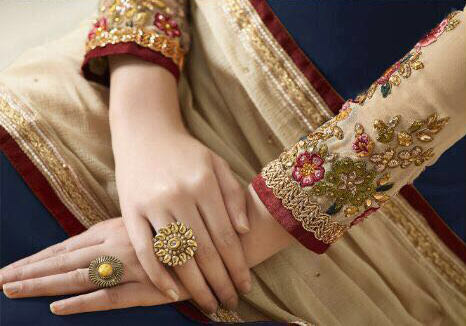 Teaming this dress with traditional accessories would give you a perfect and complete ethnic look.